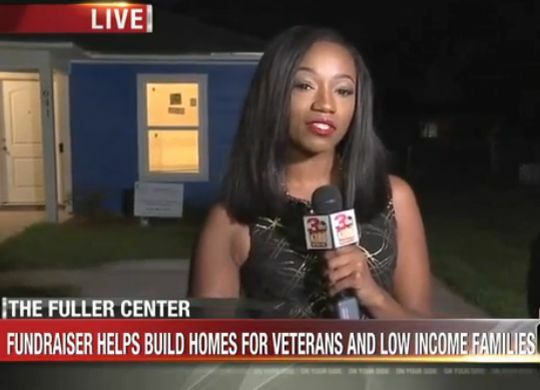 The Fuller Center of Northwest Louisiana raised more than $95,000 this past weekend with a unique fundraiser that also helped shine a light on a nearly complete build in Bossier City, Louisiana, and on its upcoming groundbreaking for the next home for a veteran in Shreveport. The fundraiser gave people an opportunity to rappel down one of downtown Shreveport’s towering landmarks — the Beck Building. Among the dozens of people who raised money for the opportunity to make the nerve-wracking 232-foot descent was 85-year-old Joane Sigler, who told KTLA-TV, “I’m a native Shreveporter, and I love this town, and I’ll do anything in the world to make it a better place for everybody to live.” For KTLA’s complete coverage of this unique event, click here. Meanwhile, First United Methodist Church of Shreveport is involved in a unique mission trip this week. After years of sending teams to work in Costa Rica, they are hosting a group of Costa Ricans who have come to Shreveport to help build a Fuller Center home. Afterward, they will head to Baton Rouge to assist in flood recovery. For complete coverage of their mission trip, read all about it in the Shreveport News here.